Counselors' Corner is where you can find events, resources, opportunities and information not officially sponsored by MASCA, but which may be of general interest to the counseling community. You may also link to our REQUESTS page to view requests made by the greater counseling community, including information about research studies in which school counselors my be interested in participating. MGH Aspire is a non-profit organization affiliated with Massachusetts General Hospital that helps children, teens and adults with high cognitive autism spectrum disorder or a related profile achieve success. We are hosting a college boot camp program June 10-14. For more information, please download the flyer here. The NEACAC Annual Meeting and Conference Programming Committee is charged with the important task of collecting session proposals for the AMC conference, which will take place at The University of Rhode Island from May 29-31st. The deadline for NEACAC AMC session proposals is January 4, 2019. The proposal form can be found on the NEACAC website. Want to present but struggling to come up with a topic? You are not alone! We can help connect you with other members who have shared interests and areas of expertise. Email Kayon Ellis at: kayone@mit.edu, for more information. Andrew Lloyd Webber Initiative- One Month Left To Apply for a 2019 Training Scholarship! 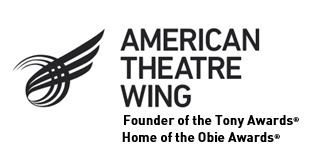 With the holidays right round the corner, the American Theatre Wing wants to remind you that the deadline to apply for a 2019 Training Scholarship is just one month away! Through the Training Scholarships, The Wing will send public school students in grades 6 though 11 who demonstrate both talent and need to attend the summer study programs or after school classes of their choosing. Seize the day and don't miss out on this fantastic scholarship opportunity. Visit our website for more information and to apply! This is a friendly reminder that applications will be accepted until January 18, 2019 at 11:59PM EST. As always, if you have any questions regarding the application process, please reach out to us by calling 212-765-0606 or email melissa@thewing.org. Wishing you a wonderful holiday, and we look forward to seeing your application in the mix! The Army and Air Force Reserve Officer Training Corps (ROTC) hosted at Worcester Polytechnic Institute (WPI) and serving the Worcester Consortium as well as Fitchburg State University and The University of Massachusetts Lowell would like to invite you to a ROTC information session geared to High School Administrators, Athletic Directors, Coaches and Guidance Counselors to assist you with guiding students who are interested in the Armed Services. National Army and Air Force ROTC Scholarship process and opportunities for High School seniors. If you plan to attend the workshop please RSVP to Mr. Darryl Gill at dlgill@wpi.edu with the names of attendees and what high school you are from by 15 January 2018. Parking permits will be sent via email to all who RSVP for this event. There will be light refreshments available during the workshop. Applications now open for SpringboardNYC 2019! The American Theatre Wing is excited to announce that applications are now open for SpringboardNYC 2019! Each year, aspiring performing arts professionals move to New York City in the hopes of establishing themselves as credible artists in the epicenter of their industry. In a fast paced environment such as New York, it truly is invaluable for actors to establish connections, learn the ins and outs of the business of theatre, and build a network of fellow peers that share the same aspirations. SpringboardNYC is the only program that is designed to do just that for college theatre students. Highlights of SpringboardNYC include having students meet with directors and casting directors, learning how to navigate living and working in NYC, and attending the 2019 Tony Awards Ceremony. It truly is a unique and thrilling opportunity to get a head start in a career as a performing arts professional! This summer, the 2019 Springboard NYC Program will take place from June 3rd - June 14th. All college student actors are encouraged to apply, although preference is given to juniors and seniors graduating in the year they apply. Additionally, there are a limited number of scholarships available for accepted students who qualify. For more information about Springboard NYC and all of its wonderful opportunities, please visit the website. To begin your application for SpringboardNYC 2019, please click here. All applications are due by February 28th, 2019 at 11:59PM EST. If you have any questions about the program or the application process, please reach out to us at 212-765-0606 or email megan@thewing.org. First appearing in the Boston Globe, MASCA is sharing this article by permission of the author, Jessica Lander. Verona Counseling Institutes (VCI) is has just announced a unique school counseling professional development opportunity for Spring of 2019 that will be held in Verona, Italy. Up to 30 school counselors from the US will have the opportunity to participate in the 2019 Spring VCI Institute focusing on Best Practices in School Counseling in Italy and the United States. The 2019 Institute will meet April 15-19, 2019, when most school districts in the US are on Spring recess. The program includes both professional workshops and unique cultural experiences. Program organizer Dr. John Carey explained that Institute’s participants will learn about best practices in school counseling in Italy, develop collegial relationships with Italian school counselors, and experience the beauty of Verona and the rich culture of northern Italy. VCI staff will advise participants regarding travel plans and affordable accommodations. The Institute schedule will enable participants to either return to the US for Easter, or extend their stay in Italy through the Easter holidays. More information is available on the Institute’s website (https://www.veronacounseling.org) and blog (https://veronacounselinginstitutes.wordpress.com). VCI was founded to create high quality, affordable programs that promote mutual understanding and international collaborations for both counseling practitioners and counselor educators. VCI will offer yearly themed institutes for practitioners (Spring) and counselor educations (Fall) in Verona Italy to take advantage of the city’s outstanding facilities, rich cultural heritage, incredible beauty, and central location. Massachusetts School Counselors Association, Inc. All Right Reserved.